Breathing Words | The writing life, while living regular life. The writing life, while living regular life. I’m back, baby! Back at AWP. I was lucky enough to attend the AWP Conference in 2011 and 2012, coinciding with the publication of my first book of stories by Press 53. This year, everything aligned so that I’m able to attend again. This year, the conference is being held in Portland, Oregon, which is where my parents life (well, Washington state, but close enough). And that’s why I’m able to attend this year – free lodging. I’m also delighted to be helping out at the Press 53 booth with fellow author Cliff Garstang. Our publisher, Kevin Morgan Watson, can’t make it in person, so Cliff and I and dozens of other Press 53ers will take turns staffing the booth and spreading the word about Press 53. There is so much to be excited about: Keynote Speaker Colson Whitehead. Hundreds of panels and speakers and workshops. Friends to reconnect with. Work to be away from. But most of all: writing. I came into town a few days early to see my parents before they left on a cruise. I’ve already had a day and a half of time to myself to write. So I spent yesterday working on a story I’ve been NOT writing for years. One part of it is based on something that really happened and I’ve been putting off writing that scene for years. And yesterday, through sheer talent, was able to put it off again. So that is my assignment for today. To write that which is most difficult to write. Literally no excuses. When I write a blog entry tomorrow, I plan to be able to say I did it. I had the great opportunity to be interviewed by Jordan Blum, the Editor-in-Chief of The Bookends Review, on the podcast Cover to Cover. It was definitely a pleasure to talk to him but I can’t say I took pleasure in listening to it afterwards. I know I’m not the only one who can’t stand to hear themselves on tape – voicemails or recordings, etc. The occasion for the podcast was the publication of my short story, Yorba, Yorba, in Bookends. I am thrilled, as always, to have a story of mine out there in the world! This story was born when I was fortunate enough to travel to Israel with my husband’s family. One (long) day, we drove from their home on the Mediterranean Sea to the Dead Sea. Usually when a story comes to me, I see the beginning and end clearly. It’s the middle part that might give me a tough time. The stories that give me the most trouble are the ones where I feel I have a great idea but no idea where or how to end it. I can write pages about what the characters are doing and thinking. But then I get to a point where it feels like someone turned out the lights and I’m groping around the room for an exit. What ends up happening is that I give up and pull the emergency cord: I just stop writing. This failure has been painfully evident lately as I work on stories for my next collection. I have about 20 stories planned for the book. Seven have already been published. I look at these now as “the easy ones.” As if they weren’t each difficult in their own way. Three more are done (so I thought) and I’ve been submitting them for the last couple of years. Another seven are in the writing process. And still another three to five stories are on the horizon. It’s the ones I’ve been submitting and currently writing that have been giving me fits. 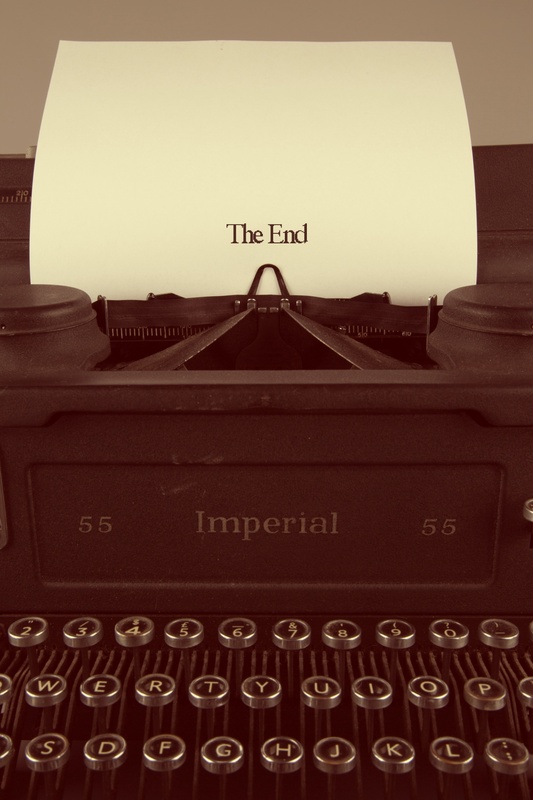 And while rejection is never fun, two editors recently told me WHY they rejected the stories, and of course, it’s the ending. We found a lot to like here, but readers were confused by the ending. One editor asked me to review and resubmit a story I’ve been writing for a few years. No guarantee that they will publish it even with the revision but what a great opportunity to see the story through someone else’s eyes. The actual final paragraph was a great way to end, they said, it was just too abrupt. So I spent a week revising and it is so much stronger for it. Even if they don’t publish it, I have confidence it will find a home. I believe it comes down to basic plot or, really, the lack of a one. The stories that come easily have a moment where something happens. It’s not always big and dramatic, but there is a moment that, when you finish the story, that’s what you remember. The ones I struggle with have a common problem – nothing happens. It’s so elementary when I acknowledge it but what a relief that someone outside of me (and my husband) pointed it out. So my writing mojo was MIA for quite a few months. It’s back and I’m very excited. And a bit nervous. For about two months I haven’t had any stories out there for consideration. No need to check my email like I’m waiting for that special someone to call. I thought it would be relaxing not worrying/waiting for a rejection. But turns out, it’s the opposite. As long as I have a story out there in consideration, there is hope. That’s what probably spurred me on more than anything – missing that hope. I have three stories ready (I think) for public consumption and more ready to be written. I need to get them OUT THERE. So between yesterday and today, I’ve sent out two stories to two lit mags each. I know that doesn’t sound like a lot, but those who submit stories or poems know how much work it takes to find just the right place to submit a particular piece to: does it seem like a good fit, are they open for submissions, do they charge a fee (I’ll pay if it’s $3 or less and I feel it’s worth it; most often I don’t)? And some magazines still only accept printed and mailed submissions, bless their hearts. So I have to find enough postage. I’ve flipped-flopped back and forth but have finally landed on yes, I’m putting together another collection of short stories. That has also brought my mojo back: the thought of a deadline. Here is the table of contents (I’m writing it down for accountability) for the new collection. Title is TBD. I tend to submit my work in a flurry. I’ll notice that I haven’t submitted anything in a while, or have been waiting a long time to hear back about previous submissions, so I’ll send out work to a few places at once. My Submittable list – I love/hate it. Submittable has become the go-to submission portal for literary journals and magazines. Way back when, it was mail, then email and magazines’ own submission portals/websites. Then Submishmash became Submittable and that was that. The choice has become email or Submittable. As a reader/judge of fiction for lit mags, Submittable is a small miracle. You can keep track of the hundreds of submissions and (more) easily get through them all . But is it too easy? I’ve kept my own online spreadsheet of submissions since 2005. Before that, I have handwritten records back to 1999, when I first began submitting stories by mail. Looking at my submissions since 2011, when I first submitted through Submishmash, I have submitted work 81 times (all stories/poems were submitted to multiple publications). Out of those 81 times, 35 were through email, etc., and 46 were through Submishmash/Submittable. Out of these 81 submissions, my work was accepted 13 times – 2 were through Submishmash/Submittable, the other 11 through email, etc. Obviously I’m a writer, not a data scientist, but even I can tell that this seems wonky. Even with so many obvious variables, it still begs the question – shouldn’t the acceptance/rejection rate be more consistent with the submission method breakdown? Is it easier to say no through Submittable? Do editors give email submissions more time, more consideration? On example: my story “Moonlighting.” During a 15-month period, I submitted it to 12 publications only through Submittable (reworking it a bit every few months). The last Submittable rejection was 11/28/15. I submitted through email one time, on 3/19/16, and it was accepted. Maybe I just finally found the right publication for it. Maybe I just needed to work on it a bit more. Who knows. I also have examples that don’t support my theory. It’s just something interesting to notice – and something else to distract me from the task at hand, which is writing more work to submit. I’m thrilled to have my poem “When You Turn Away” included in Vol. 7 of Buck Off Magazine. Not only am I among great writers, the artwork in this issue is outstanding. Check it out! This is the fifth poem I’ve written and the fifth one published. I’m shocked and awed. I wish I could conjure up more poems but, like with the stories, they come to me when they come to me. I still don’t consider myself a poet. That’s just the form that the stories took when they came out. And I’m very lucky that they each found a place in the world. Yes, it’s been more than a year since my last post. I’m not proud of it, but there it is. It’s not because I don’t have anything to say. Quite the opposite. But I haven’t written much fiction lately. I’ve been dabbling with a few projects, pulling myself in too many directions to focus. No Extra Words podcast posted my flash fiction piece “Not Dog People” in their Episode 54 (time code: 11:28). They then asked me to contribute a piece about my writing space, which was part of Episode 78 (time code: 21:39). I’ve never been part of a podcast and am thrilled to be included in No Extra Words. Check them out and submit! My poem “When You Turn Away” will be published in late May in Buck Off Magazine. A thousand times, yes! The anthology will be out in June. I was asked to be guest editor of Issue 109 of Prime Number Magazine, due out this summer. What a privilege to read nearly 200 short stories in just a few months. What agony to choose only three to be published in the issue! So all that, plus starting a new job 11 months ago as a full-time copywriter, has kept me writing. But now I need to pick, and focus, and I’ve chosen the screenplay that I’ve been writing (more off than on) since 2004. Stay tuned!